The McDonald’s closest to me may treat me like a queen (“The usual 25 hash browns, my liege?”), but at the end of the day, I’m just another very hungry customer who’s borderline addicted to fried potatoes. 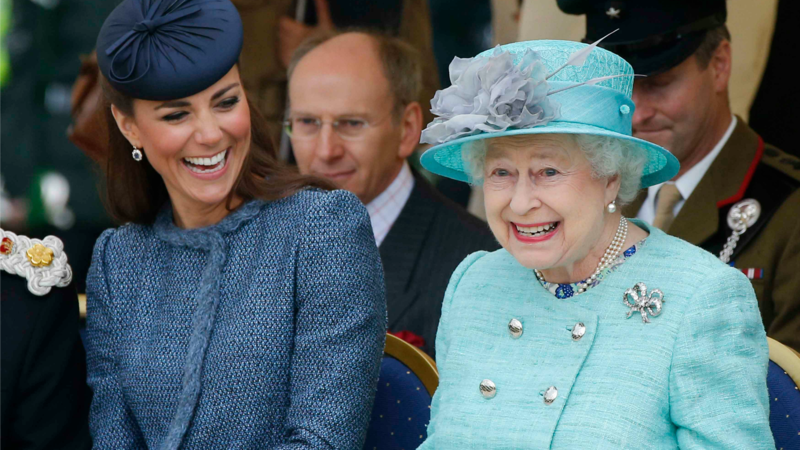 Queen Elizabeth, though? She’s used her crown and the money behind it to ensure that when it comes to her local McDonald’s, she’s the boss — literally. It turns out the British monarch (well, technically The Crown Estate) invested in a McDonald’s about 80 miles outside London in 2015. And as you might expect for a restaurant owned by royalty, this location is fancy AF compared to the ones I frequent — it’s got Wi-Fi, a phone-charging station, and table service, I guess in case the queen ever actually decides to visit. Now, the queen has a pretty notoriously healthy diet (one that includes, like, four cocktails a day, which is totes my kind of healthy), so chances are she doesn’t make it to the Banbury Gateway Shopping Park Mickey D’s very often. But when you want to have a cheat day in private, what better way than to scoot out to the suburbs of London to indulge at a McDonald’s that you own? Sometimes I wonder what I’d do with the power that comes with the crown. Advocate for world peace? Try to end poverty? Invest heavily in getting girls more involved in STEM? But at the end of the day, I think I can safely say I’d take a page out of Queen Elizabeth’s book… just swap McDonald’s for Taco Bell and my reign would go down in history.